known as Dudhi and Bottle guard. 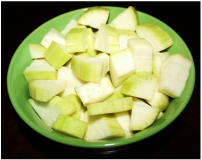 Lauki’s outer skin is yellowish green in color and usually shape like a bottle and inside is spongy flesh with white pulp and white seeds. 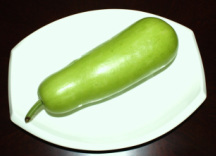 Laiki is a versatile vegetable that can be used in preparing variety of savory and sweet dishes. 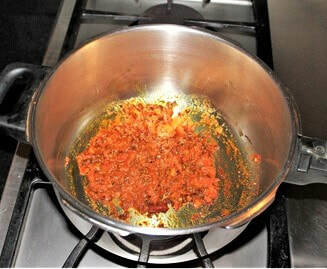 In Indian cooking, lauki is often combined with various lentils to make wonderful dishes. Lauki holds a special place in the Indian Ayurvedic medical system due to its health benefits. It is very light on digestive system. Lauki juice is an excellent remedy for excessive thirst caused by diarrhea. 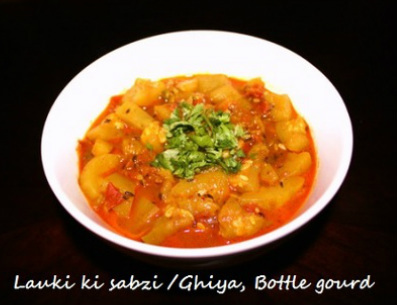 Cooked lauki is cooling, calming and makes you relax after eating. 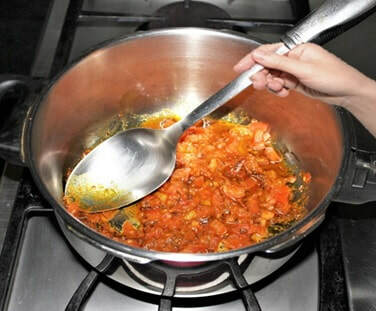 Lauki is quite blend and tasteless, so kids and younger people avoid to eat it, but with some spices and ingredients you can make this simple dish very tasty. 1. 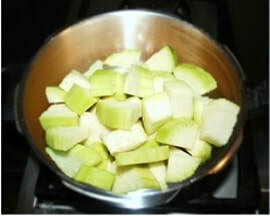 Wash and peel the lauki, chop off the top and bottom tip. 2. Slice Lauki in half. 3. Slice each piece half. 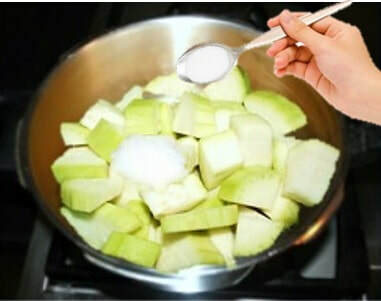 and fry them for few seconds. 11. 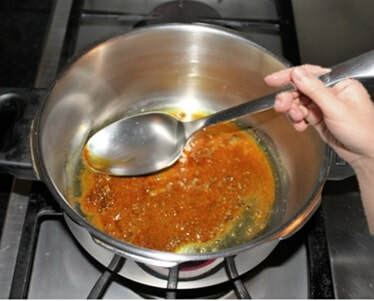 Once the steam of pressure cooker goes down open the lid of pressure cooker. 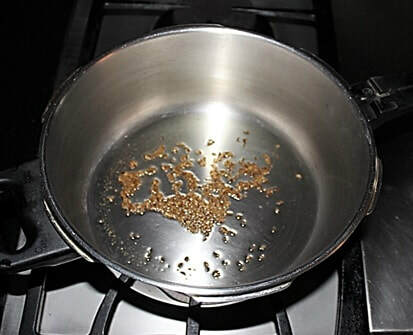 minutes, once you have the desired consistency turn the stove off. 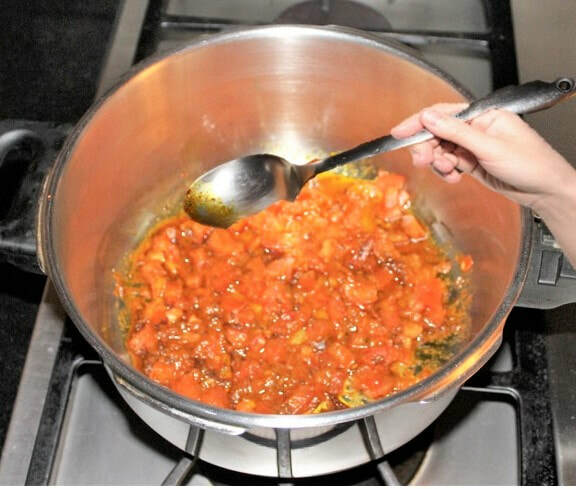 If you think lauki is very blend, boring or tasteless, then try to cook with other ingredients and combination, and make this dish delicious. 1. 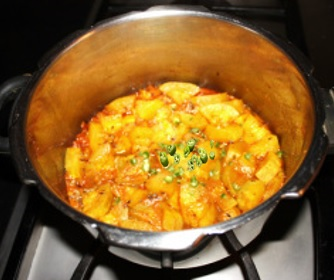 For variations cook lauki with onion masala. 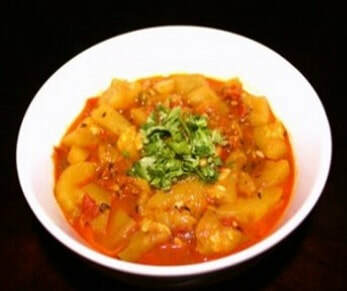 Fine chopped the onions and sauté them for 5 to 6 minutes, add cumin seeds and asafetida , after browning the cumin seeds,add coriander powder, turmeric and red chili powder and fry them for few seconds, add chopped tomatoes, chopped green chilies, once tomatoes become soft and blend with onions add chopped lauki and cook. 2. 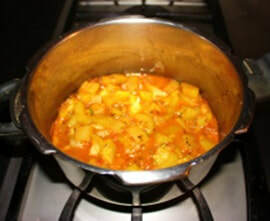 Try to cook lauki with channa dal.